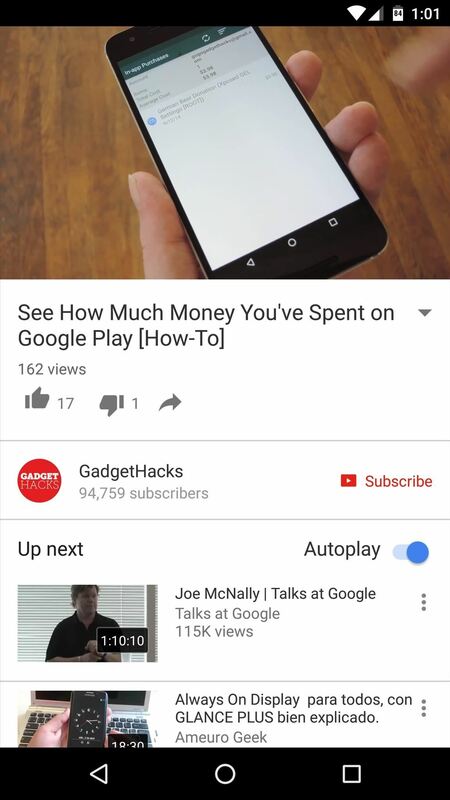 Over the years, YouTube ads have become more and more integrated with the videos themselves, which means traditional Android ad blockers can no longer block the ads without blocking the videos. It's gotten to the point where the only ways to get rid of the ads are to either subscribe to Google Play Music and YouTube Red, or go through the complicated process of installing the Xposed Framework. But for a lot of people, neither of those options are viable. 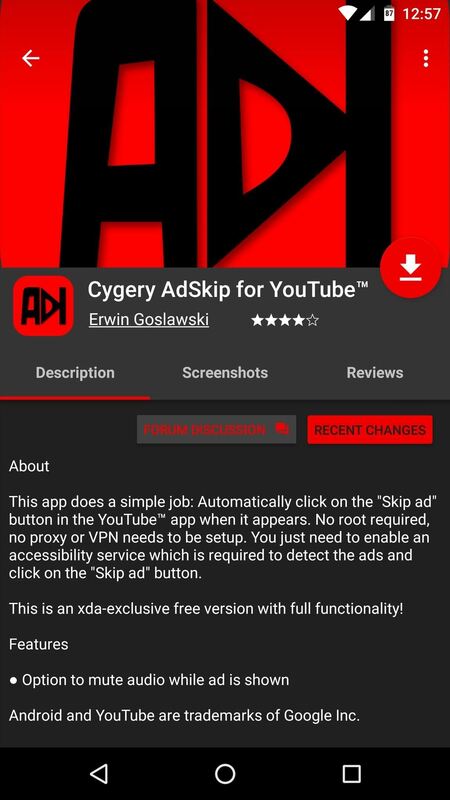 So developer Erwin Goslawski created a simple non-root app that detects when YouTube ads are playing, then automatically mutes your volume while it waits until the "Skip" button appears, at which point the app will skip the ad for you. It makes YouTube ads as short and unobtrusive as possible, which is as good as it gets these days, so I'll show you how to set it up below. The developer has requested that we not re-share the free version of his app, which makes its home on the XDA forums. As a result, you'll need to get the app straight from the source, and the easiest way to do that is by using the XDA Labs app. 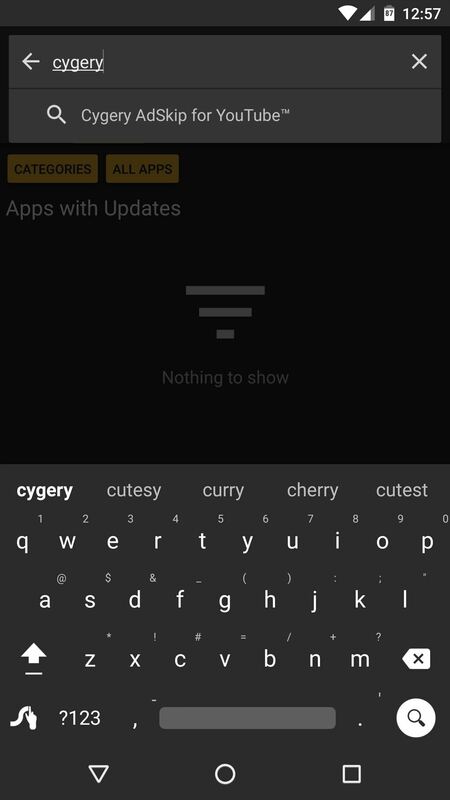 To start, head to the Apps tab in XDA labs, then search for "Cygery AdSkip for YouTube," then tap the top result. 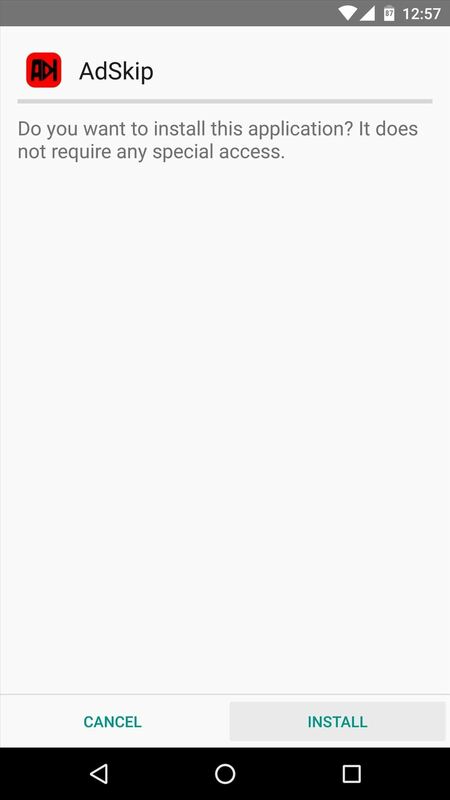 From here, press the download button in the middle of the screen, then within a few seconds, you'll be greeted by Android's installer interface. At that point, simply press "Install," and when that's finished, tap "Open." 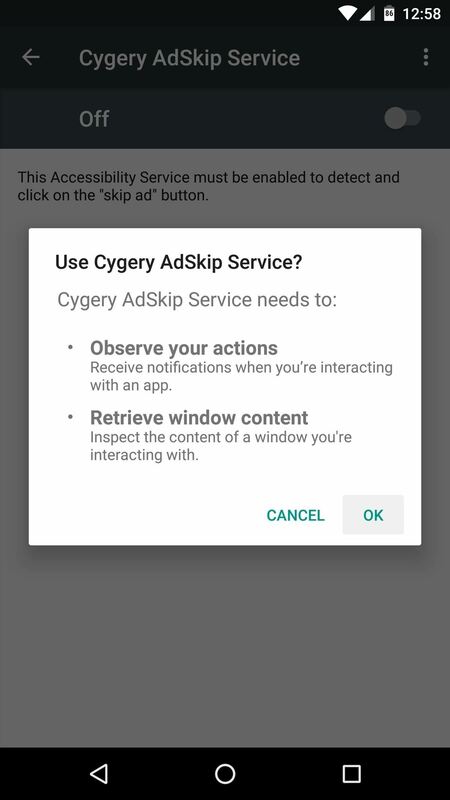 Alternatively, you can visit the developer's thread on XDA, then download the APK to sideload Cygery AdSkip. 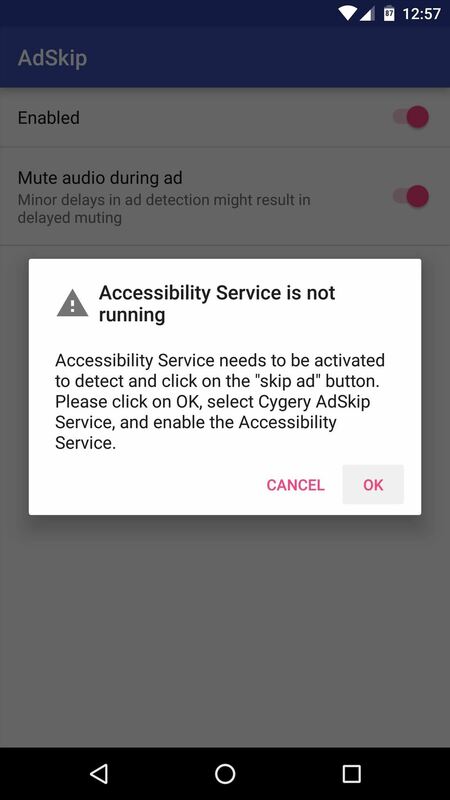 When you first launch Cygery AdSkip, the app will prompt you to enable its accessibility service. 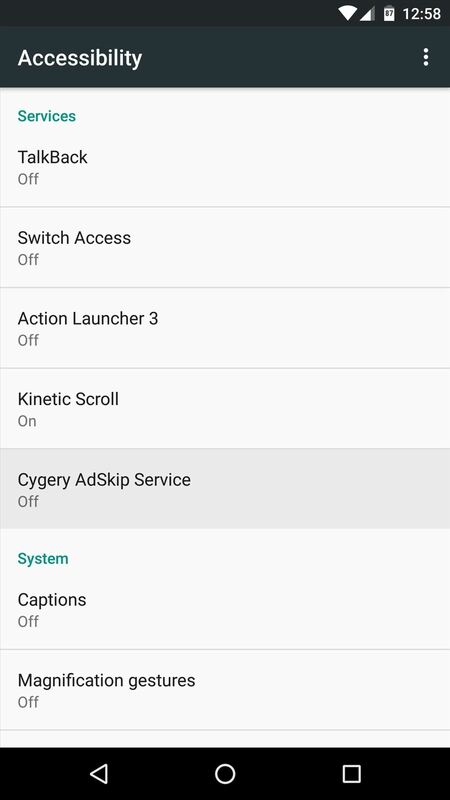 So tap "OK" on this message, then select the "Cygery AdSkip Service" entry on the following screen and enable the service using the toggle switch. Next, head back to Cygery AdSkip to finish setup. 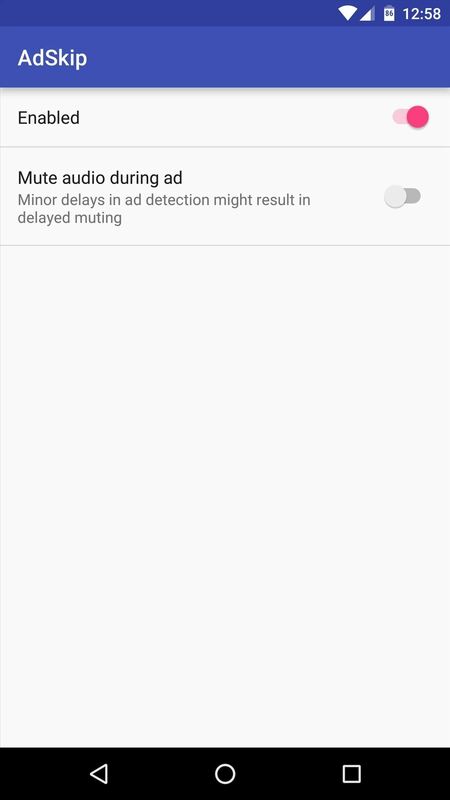 From here, make sure to leave the "Enabled" option ticked, though you may want to consider disabling the "Mute audio during ad" option. As cool as this feature is, it can cause minor delays in ad detection, so weigh your options before deciding how to set this. With everything set up now, you can basically forget that you have the app installed. 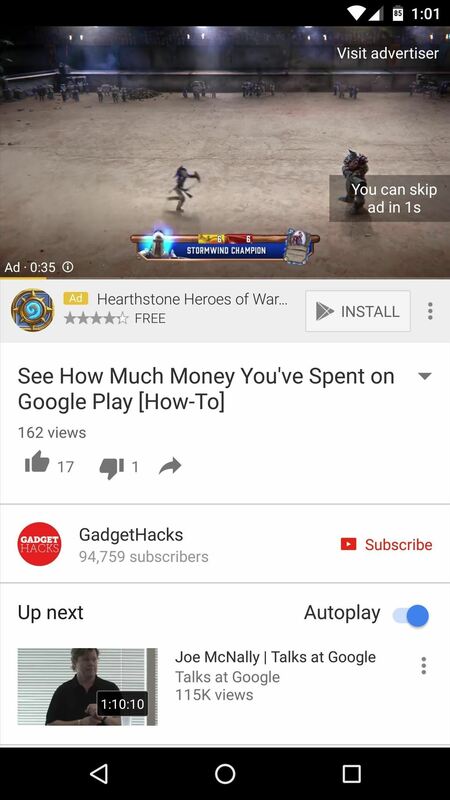 From now on, whenever a YouTube ad appears, Cygery AdSkip will wait until the "Skip" button shows up, then it will instantly press it for you. 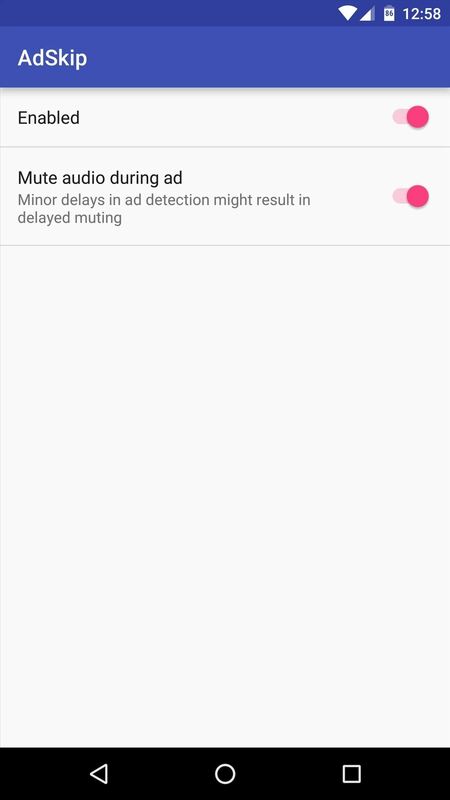 And if you opted to leave the "Mute audio" option enabled, you won't even hear the ad during the brief time it's visible—how cool is that? It works well, very happy. Cheers mate ? ?